Why Choose Churchill Tax Investigations? Churchill Tax Investigation are highly reputed in the UK for having one of the highest success records for tax investigation cases. Our team includes highly qualified tax specialists and ex- HMRC Tax Inspectors. Here is a summary of some of the recent tax investigation cases we have won together with confirmation closure letters from HMRC or the Tax Tribunal. This client was referred to us by a firm of accountants from London. The client ran a restaurant/ take away and was investigated by HMRC for underpayment of VAT, corporation tax and income tax. The investigation had been going on for over two years, before it came to us, whereby HMRC were adamant that our client had undeclared sales whereas our client insisted that his business was struggling and he could not have made the level of sales HMRC had estimated. After several exchanges of correspondence, we held a long Alternative Dispute Resolution meeting with HMRC officers. It was agreed towards the end that the sales were much lower than HMRC’s estimate and the number of years to be considered for the assessment were also reduced. The overall amount payable by our client including penalties was much smaller compared to original assessment. Our client and HMRC happily agreed on the final settlement. This client came to us with a substantial tax liability of roughly £200k arising from assessments raised by HMRC in relation to their CIS scheme. Our team of tax investigation specialists were able to agree with HMRC that no tax liability was due based on recent case law. The case law used had very similar facts as those of our client and the judge sympathized with the tax payer stating that in the circumstances, it would be unfair for the tax payer to have to pay the additional tax demanded by HMRC. The HMRC officers accepted the recent court decision, showed sympathy towards our client and waived the entire tax assessment and penalties. This meant a lot to our client as otherwise they would have had to close their business down. We are grateful to the HMRC officers and their manager who showed full cooperation and accepted our client’s position. This client was referred to our firm by their accountants from Essex. The case concerned our client claiming sideways loss relief for a helicopter that was acquired for chartering. The trade was unsuccessful, made losses and was ultimately shut down. HMRC refused to allow loss relief on the basis that our client had not spent enough time for the business to be considered as a trade. 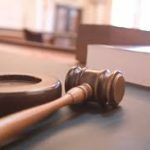 This case had been going on for almost four years. Our team of tax investigation specialists took on the case and after prolonged negotiations and meetings were able to convince HMRC that our client was fully entitled to the relief and that he had in fact spent sufficient time on the aviation trade to qualify. This was a specialised case and included background from an expert witness that went in our client’s favour. There was a substantial tax liability that would have been due had HMRC been successful in their case. This had been reduced to nil after the case was concluded. This tax investigation case was referred to us by another firm of accountants. 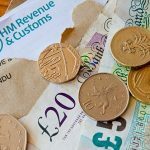 HMRC were aiming to charge the client a significant amount of tax. We argued that our client’s position was that he did not have any additional income to declare. 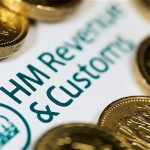 HMRC ultimately accepted our view and closed the case. This client came to us after he was investigated by HMRC for undeclared property income under the Let Property Campaign. After long negotiations and correspondence, HMRC closed the enquiry with no additional tax to pay. This case was referred to us by another firm of accountants. There was a tax investigation for VAT and income tax. We filed an appeal to the Tribunal but then entered to discussions with HMRC through ADR. Following lengthy discussions and negotiations, HMRC accepted a substantially reduced tax figure and the case was withdrawn from the Tribunal. This HMRC tax investigation case came to us after their accountant closed their office down during the enquiry and absconded. HMRC were seeking over £300k in VAT, Corporation Tax and Penalties. An appeal was made to the Tax Tribunal. We met with HMRC in an ADR meeting where after 7 hours of negotiations, a much smaller tax liability was agreed. This person was referred to us by their existing accountants for specialist tax advice in relation to a voluntary disclosure of underpaid inheritance tax from over 14 years ago. We considered the case carefully and claimed a number of exemptions whilst making the disclosure to HMRC. HMRC accepted our position with the disclosure and also that there was no further tax to be paid. This client came to us as they needed to make a Voluntary Disclosure of undeclared foreign income and to ensure they are not prosecuted by HMRC. After months of work and gathering supporting information, we submitted a voluntary disclosure with a relatively small amount of tax to pay. HMRC shortly accepted our voluntary disclosure. This person was in the process of buying a property and the solicitors had advised him that due to the new SDLT rules, he will be subject to the additional 3% charge. We considered the case and found that for a specific technical issue, the addition 3% charge will not apply to this client. We applied for a written ruling from HMRC and shortly received the positive ruling whereby HMRC agreed with our interpretation of the law. HMRC’s Customs team investigated this client for non payment of taxes on imports. Our team met with HMRC and after a few hours, were able to satisfy HMRC that all taxes had been paid. The tax enquiry was closed shortly afterwards. This client had transferred some property to a relative that was seen as subject to capital gains tax. After reviewing the case, we found that there was no tax payable due to the beneficial ownership law. Initially HMRC did not agree with our position but after some exchange of correspondence, they agreed with our technical position and confirmed that capital gains tax was not due. This client had undeclared rental income for several properties for over ten years. The client approached us for assistance and we advised him to make a voluntary disclosure through the Let Property Campaign. The disclosure took roughly three months due to the information that needed to be retrieved or re-invented. The disclosure was submitted to HMRC and was fully accepted. Our client saved a large amount of tax and penalties through the disclosure. HMRC had opened a VAT investigation into this client. Initially HMRC wanted tens of thousands of pounds. After we started negotiating, the case was concluded and our claims accepted. HMRC’s technical team agreed with our legal position in relation to the input VAT that had been disallowed by HMRC previously and finally agreed to allow our client’s claim in full with no further tax to pay. This company had been investigated by HMRC for VAT. The company used flat rate scheme and had claimed for some capital items which HMRC disallowed. Initially HMRC were asking for a large sum but after negotiations and discussions that went on for almost 8 months, HMRC accepted our position and agreed that our client did not have to pay any further tax. In fact, HMRC accepted that our client was due a refund for overpayment. This person had been investigated by HMRC for having a large undeclared income. We considered the case and offered to make a voluntary disclosure and to give immunity from prosecution to our client. After months of hard work, we made a disclosure to HMRC with relatively small amount of tax to be paid. HMRC’s considered our disclosure and accepted it in full. This person was referred to us by another firm of accountants after HMRC opened a tax investigation. Initially HMRC demanded a substantial tax bill but after our firm’s involvement and our expert technical position, the case was closed with no tax to pay. This company had been investigated by HMRC for underpaid import taxes including Customs and Excise and VAT. We took on the case and were shortly able to satisfy HMRC’s enquiries. The case was shortly closed with no further tax to pay. This person came to us from another accounting firm as they could not handle the VAT and Income tax investigation. HMRC was asking for our client to pay a large sum of VAT and Income tax for the alleged under declared sales. After long discussions and negotiations, we appealed against HMRC’s position to the First Tier Tax Tribunal. Several weeks before the hearing, HMRC’s solicitor’s office reviewed the case and decided to drop the case completely. This case was referred to us from another accounting firm in London. The client had been under enquiry for almost 3 years before his accountants contacted us for assistance. The client was under significant stress as this tax enquiry was affecting his personal and work life. During the previous few years the relationship with HMRC had been damaged and consequently HMRC had raised large assessments. The case involved rental business and large sums of cash the client had which were treated by HMRC as undeclared income. Our tax investigation specialists considered the case in depth and how the rental income had been recorded and declared including the cash deposits. After long discussions and detailed analysis we were able to see a logical explanation to the cash deposits in our client’s account. We explained our client’s position to HMRC and also challenged on some of the assumptions that had been made with supporting evidence and relevant case law. A meeting was arranged with HMRC officers who accepted majority of our points and explanations and we settled on a tax liability less than 10% the original assessments. This was a great news for the client and their accountant that referred the case to our firm. We are grateful to the HMRC officers involved for their cooperation and their understanding our client’s situation and personal circumstances before reducing their assessments. 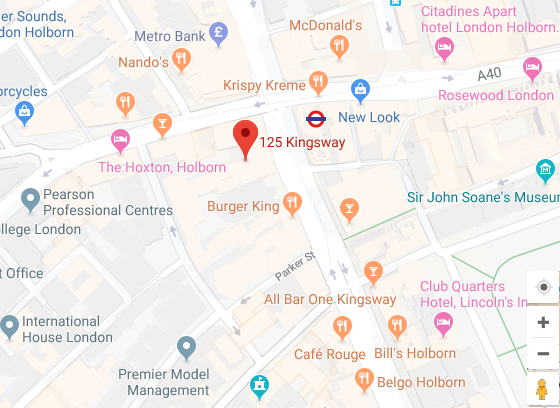 Our analysis: This case came to us after it had been ongoing for almost 3 years and there was still a large (turned bitter) communication gap between HMRC, the accountant and the client. Due to our expertise in tax investigations we were able to reduce the gap and provide information to HMRC in a constructive way that allowed us to close the investigation shortly after it came to us. The case highlights importance of using a firm that is experienced and knowledgeable with tax investigations to avoid paying more tax than needed and more importantly the psychological stress that comes with the tax investigations.